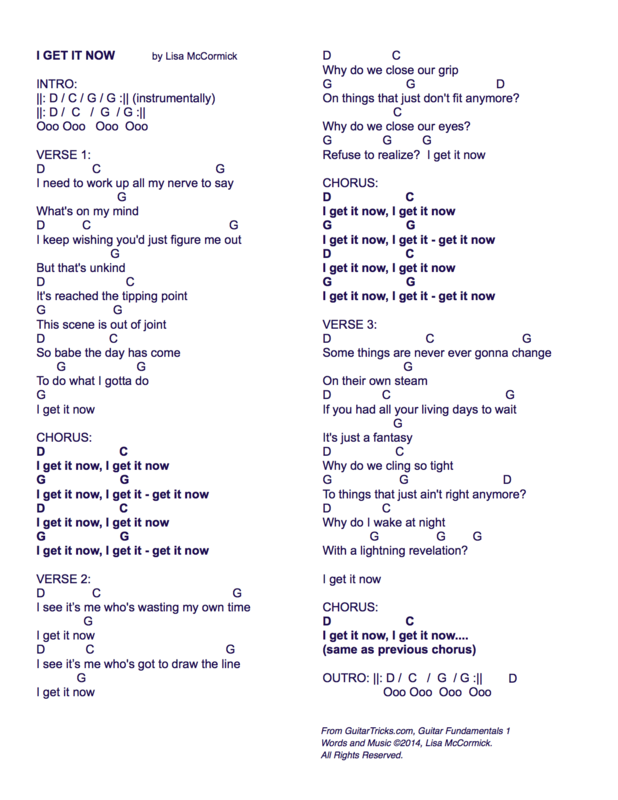 In this lesson, we'll preview the song "I Get It Now, including the chords, and the structure of the song itself. Even though the chord changes move more quickly in this song, you have the benefit of the fact that it is the same exact progression of chords,mover and over and over, all the way through the song. If you can master that one little phrase, you can play the whole song! It may be helpful to skip ahead to the next lesson and listen to the song a few times, so you can begin to familiarize yourself with it. That will make it much easier to learn to play.